I am so super excited to be able to feature one of my VERY favorite clothing companies for children again - Tea Collection - but for the first time feature little girl's clothing for my daughter!! For Spring/Summer 2012, Tea is featuring clothing from Bali. From dance and music to rich ikat and batik textiles, their spring preview celebrates the arts of Bali. 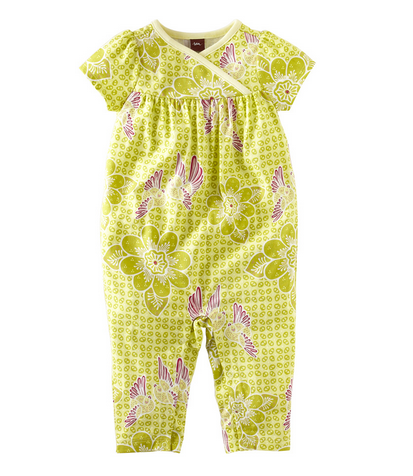 Say happy day to sweet baby girl clothes inspired by an island full of love. They started Bali Arts & Crafts in celebration of all the diverse arts of Bali. The ikats and batiks begin to come to life in girls' pieces like the Adat Batik dress and sarong short and Jasmine Ikat harem pants and a cute little romper for baby girls. They created the Legong Dancers tee for girls to honor all the Balinese dancers. 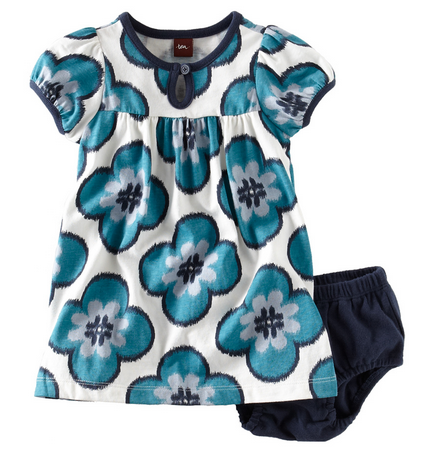 You'll love the wardrobe harmony emanating from the Poleng skirt and dress for girls and the bold boys shorts. I generously received four great items from Tea Collection's baby girl clothing collection. The first item I received was the STARLING BATIK ROMPER (pictured above).With playful pairs of tumbling starling birds and big floating blossoms, this is one of my favorite Bali-inspired wrapneck rompers. 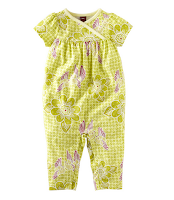 I love the diaper snaps for easy dressing and the greens and purples are so fun and colorful! This will be perfect for my daughter to wear this summer and fall! The second item I received was the SEDAP MALAM BABY DRESS. It is named for the fragrant night flower of Bali that is often worn in the hair. They picked a bunch of bold, modern flowers and turned them into a knit baby dress for little ones who like to go bold and have big fun. I love the beautiful blue flowers and the cute little diaper cover/bottoms! This dress will look so adorable on my daughter this summer! However, my favorite items from Tea Collection this Spring are the SKINNY STRIPE LEGGINGS and the MAGNOLIA BATIK DRESS. The leggings have cute striping and they match perfectly with the Magnolia Batik Dress. 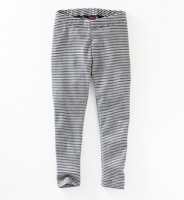 However, they are very versatile and are sure to be one of my daughter's go to layering essentials. 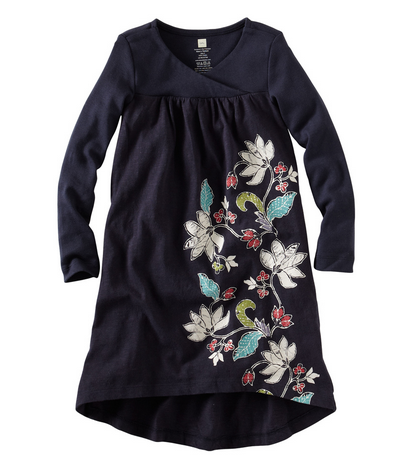 The Magnolia Batik Dress is a playful jersey dress with a bold and graphic magnolia batik print flower. It's higher in front (above the knee) and lower in back in super slub jersey. The neckline is so cute and will look so cute with the leggings or without! I can't wait for my daughter to put this on! If you are looking for unique and super cute clothing for your daughter (or son! ), look no further than Tea Collection! You will be taken to another world and culture every time you put their clothing on your child! Buy It: You can purchase all the Tea Collection clothing I mentioned above (plus so much more!!) on the Tea Collection website. Win It: Tea Collection is generously offering (1) $100 gift certificate to a lucky winner!